The up-and down weather -- which has already delivered snow during Spring Break -- will throw us another curveball Wednesday, when the Washington area could see record high temperatures. 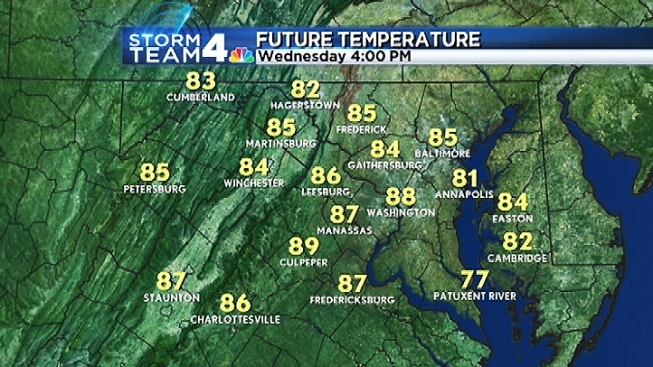 The temperatures are expected to peak at 90 degrees Wednesday, said Storm Team4 Meteorologist Tom Kierein. Even before sunrise, the temperatures had jumped into the 60s through much of the region and to almost 70 in much of Maryland. The record temperature for April 10 is 89 degrees, set at Reagan National in 1922, Kierein said. The record temperature for the entire month is 95, which we are unlikely to reach Wednesday. LATEST WEATHER FORECAST: Click here. The warm weather has led to high pollen counts in the region, particularly from maple, juniper and elm trees. 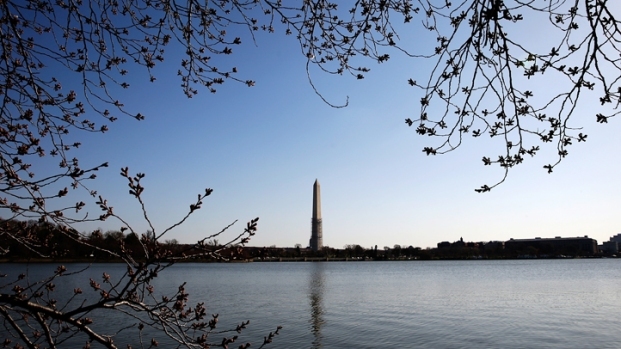 However, it has also led the cherry trees that famously line D.C.'s Tidal Basin to bloom at last. During the National Cherry Blossom Festival, as many as 1.2 million people are expected to check out the blossoms. The trees are considered to be in peak bloom now. We want to see your Cherry Blossom pictures! Tweet them to @nbcwashington with #nbcblossoms.